It all started with a Dream Kitchen. A box packed with a miniature dishwasher and sink, tiny plates, and itty bitty toy steaks, it was Barbara Klar’s favorite Christmas gift in 1959. 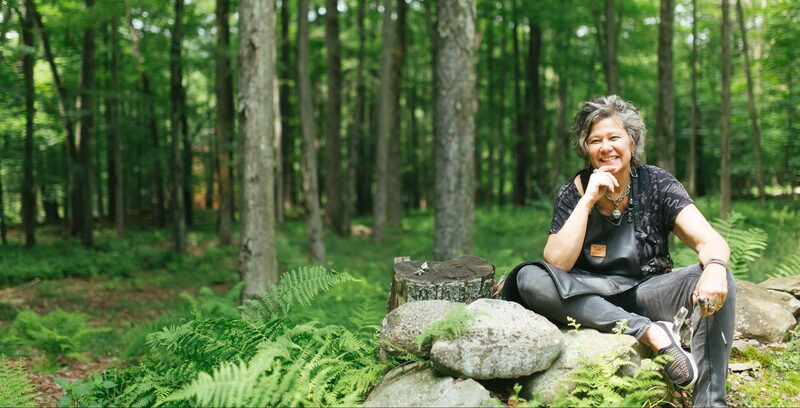 It was also the Woodstock jeweler’s first introduction to what she calls “tiny things,” the sort of found objects that have become a mainstay of her art. Growing up in Akron, Ohio in the 1960s, Klar remembers churning out small doll clothes and accessories, building off that dream kitchen to create a whole world in miniature in the quiet of her bedroom. “I had a crazy home environment. It was easy to stay in my room and create,” she recalls. 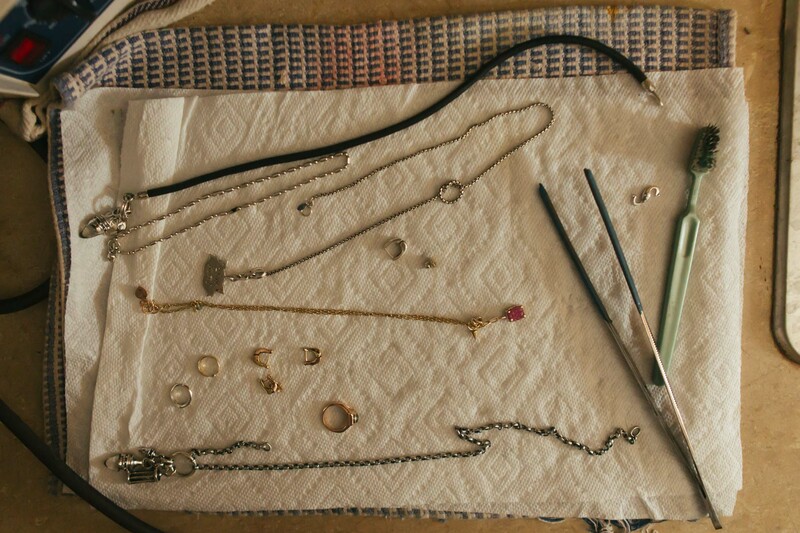 Some of the tiny pieces Barbara uses to create her jewelry. She likens her current-day studio, Clear Metals, to the Dream Kitchen of her childhood. The final product is now jewelry, rather than doll clothes, but the materials are in many ways markedly similar: bits of fur from the tail of a friend’s beloved dog, mini hinges like those she’d spot on trips to the hardware store with her father as a girl, crystals like those in her mother’s watch. All found objects, all tiny. In addition to found objects, Klar works primarily with silver and gold. Her foray into metalwork started in 1973 with an “ear wing” she crafted to fit over the outer ear, a piece that secured her love of silversmithing. A graduate of the Cleveland Institute of Art, Klar moved to New York City in the late 70s, at a time when she recalls the help wanted ads were filled with “columns and columns” of jobs in jewelry. I did jewelry because I always loved it and could never afford it. 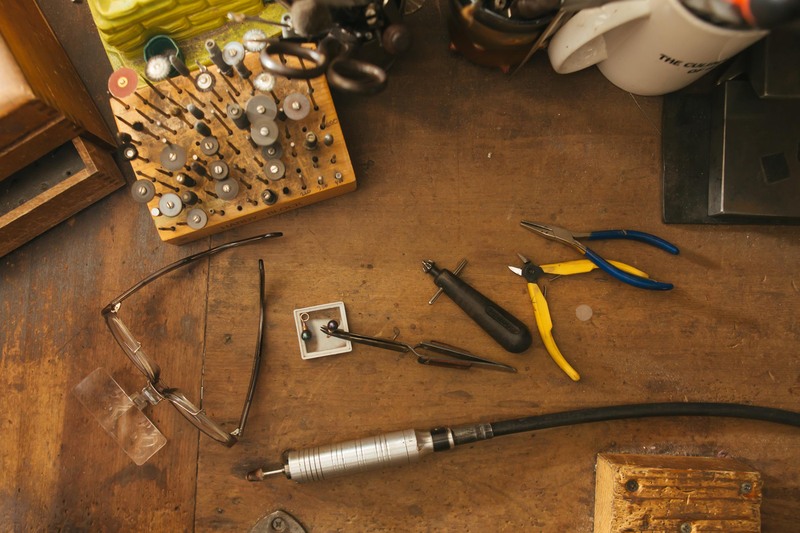 Jewelry is an intimate art form, says Klar, precisely because it’s worn. Her art becomes intrinsically tied to the person who wears it. “There’s a sentimentality to it,” she says. 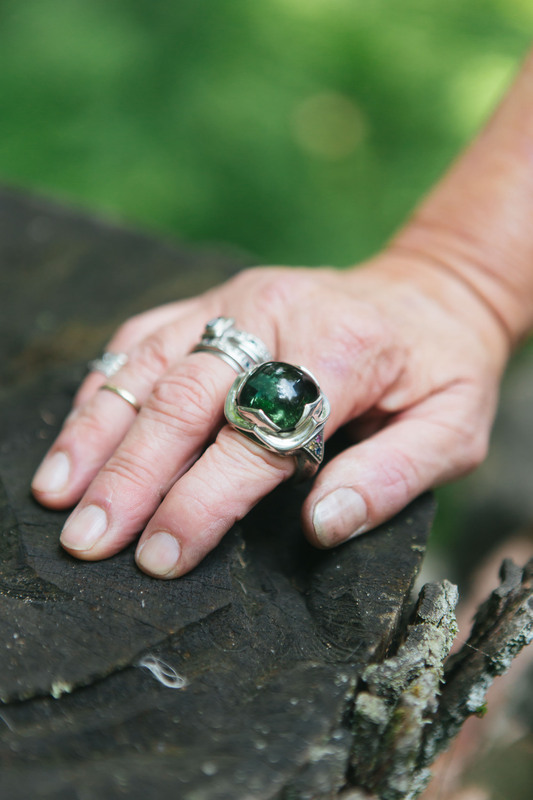 “It’s more than just a piece of adornment.” It’s personal for the maker, too. Although her work has been sold in Barney’s New York and Neiman Marcus, Klar has never been comfortable creating the sort of work requested by catalogs and similar wholesale commercial ventures. Barbara wears jewelry she designed and created. That’s how it’s been for much of Klar’s career. She set up her first official shop for Clear Metals in the East Village in the 1980s. The space was cheap, and Klar worked during the week at temp jobs. In high school Klar’s mother insisted on pushing her daughter into secretarial classes, throwing her off the college prep track but unwittingly financing her creative life. Those secretarial skills allowed Klar to pick up office work during the day, create at night, and sell her jewelry on the weekends. It was rough going at first. Residents of the area at the time had little discretionary income, and jewelry was not at the top of their list. She can’t recall the pieces that first sold, but she’ll never forget the pieces that were first stolen. “I was horribly devastated, but at the same time it was good. At least somebody wants it!” she says with a laugh. But success came. 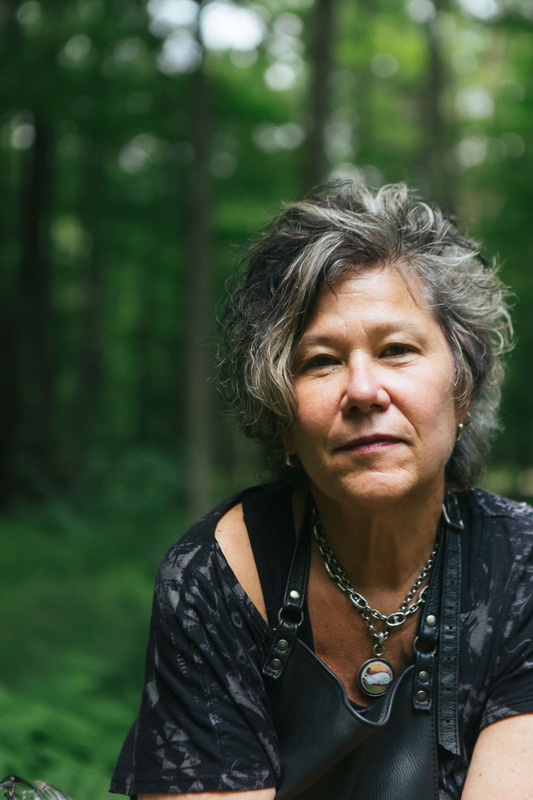 In 1991, Klar “kicked it up a notch.” She wrote a business plan and moved Clear Metals to SoHo. She got investors and built up her commercial relationships. Her pieces earned spots on primetime shows like Friends and Judging Amy. By the time she left New York, shortly before 9/11, Klar’s business had shifted dramatically toward wholesale and commissions. She was able to take her clientele with her, first to Accord in Ulster County, then to Livingston Manor in Sullivan County, and most recently to Woodstock. People have followed her upstate to find out what she’s done with that tiny craw claw she found on a beach (cast it in metal of course) or how she might incorporate a little door into a tribute to a beloved dog. 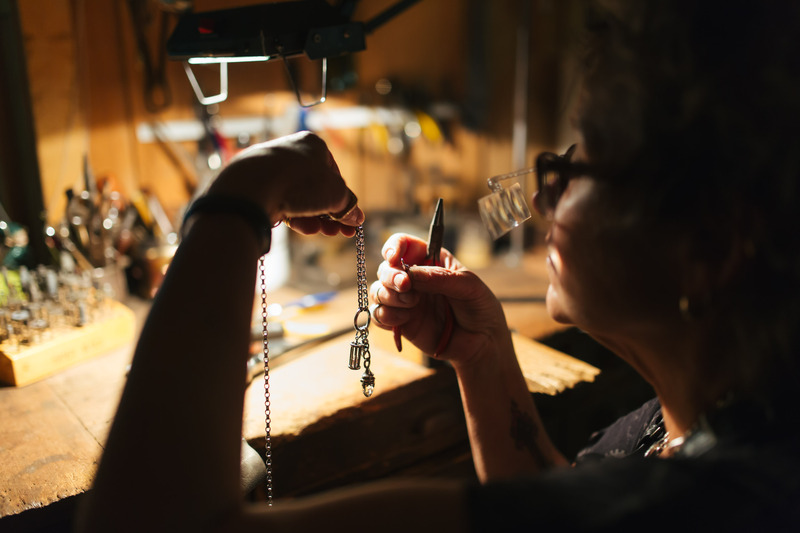 A love of reliquaries that started when she was at college in Cleveland and would visit the Cleveland Art Museum has been rekindled, and Klar now features locking mechanisms in many of her custom pieces. Her original clients—those East Village residents who have come up in the world and now have discretionary income—are still around. Their kids come to buy, too. “I still feel relevant,” she says with a laugh. She feels at peace, too. There’s a zen to working with your hands. It’s just like meditation.